Cathedral Celtic are looking for a friendly next Saturday or Sunday (5\6 Oct). Daly Industrial Supplies U17 Premier League: Mayfield United 1 Leeside 0. Gussie Walsh Perpetual Trophy semi-final: College Corinthians 3 Leeds 4. Daly Industrial Supplies U17 League 1A: Ballinhassig 0 Youghal United 2. FAI Umbro Youth Cup: Lakewood Athletic 5 Passage 2, Bandon 3 Fermoy 2, Riverstown 1 Wilton United 3, Greenwood 1 Buttevant 4, Macroom 5 Ringmahon Rangers 4, Carrigaline United 2 Ballincollig 1, Donoughmore Athletic 2 College Corinthians 6, Grenagh 0 Mayfield United 7, Watergrasshill United 1 Midleton 2, Douglas Hall 1 Rockmount 1 (Rockmount win 6-5 on penalties), Avondale United 1 Castleview 6, Leeds 3 Blarney United 2. Munster Junior Cup 1st Round: Greenmount Rangers 0 Grangevale 3. Group A: Killumney Utd v Macroom A (off). AOH Cup 1st Round: De Courcey Albion 2 Glenvale 1; Cathedral Celtic 6 Los Zarcos 0; Waterloo A 1 Pearse Celtic A 0; Coachford A 3 Knocknaheeney Celtic 2. St Michael Cup 1st Round: Hibernians 5 Lakewood Ath A 0; Dillons Cross Ath 4 Richmond A 4 (Richmond won 4-2 on pens aet). St Michaels Cup 2nd Round: Fairview 4 Donoughmore Ath 0; Millstreet Celtic 1 Buttevant 4; Rathcoole Rovers 0 Watergrasshill Utd 4. Saxone Cup 2nd Round: Blackpool Celtic 2 Glen Celtic B 5; Corkbeg v Afton Villa (off); Hillington v CFC Banteer (off); Macroom B 3 City Wanderers 4; St John Boscos A 4 Strand Utd A 1. Presidents Cup 1st Round: Pearse Celtic B 3 Castlelack 0; Parkview Celtic 2 Dunbar Celtic B 3; Innishvilla B 2 Ballinhassig B 2 (Ballinhassig won 6-5 on pens aet); Lakewood Ath B 0 Leeview Ath 3; Richmond B 3 Strand Utd B 2 (aet); Tower FC 4 Waterloo B 3; St John Boscos B 2 Coachford B 3. Premier League: Park Utd 3 Innishvilla 2; Kilreen Celtic 3 Springfield 3; Greenwood 5 Glen Celtic 6. Premier A League: Castleview 0 Village Utd 8; Carrigtwohill Utd 0 Grattan Utd 3; Douglas Hall 2 Glenthorn Celtic 2. AUL 1: Knockraha 3 Bohemians 2. AUL 3: Ard Na Laoi 1 UCC B 3; Glenthorn Celtic 4 Greenwood B 2. OSCAR TRAYNOR: Request from Manager - Donal Riordan. The following players are requested to attend our training match v UCC at the Mardyke (grass) pitch Monday night 30/9. All players are asked to be there at 6.30. Thomas Butler, Eric Cambridge, Howie Coakley. Will Corcoran Anthony Peelo Mark Nolan. James o Leary Philip Brady. Gary Comerford, Dean Kelly, Lloyd Dorgan. Gary Nolan, Shane Hurley, Tony Carroll. All players are asked to be on time and I have contacted the various secretaries and if any player cant be available please contact me. Every one is welcome to the game enter through the gate next to the bridge. Oscar Traynor: The Cork AUL will take on the Defence Forces in their first game of the Oscar Traynor competition in Rockmount Park at 7.30pm next Thursday, 3 October. Premier A: Douglas Hall 2-2 Glenthorn Celtic. OSCAR TRAYNOR NOTICE - From Manager - Donal Riordan. The following players are asked to attend our trial game monday night 22 sept at 7.15 sharp.in the mayfield sports complex which is alongside of the Swimming Pool. Austin bayna jj lynch Dillons cross. Thomas butler,Eric cambridge. Howie coakley Village utd. Eddie kenny,willie corcoran,barry o donavan trevor hallisey Anthony peelo Mark nolan,Blarney street. Dean kelly,,gary comerford cian o callaghan Lloyd dorgan ,Kilumney. The league, Waterloo FC and all at Bohemians would like to wish Bohemians player Tomas Mulhall a speedy recovery after sustaining a serious injury in the Munster Junior cup tie at Whitechurch where Waterloo and Bohemians were drawing 0-0 at the time of the abandonment on 55 minutes. Please ensure that all your players are properly registered and signed by your club prior to playing any competitive games. The league will treat this offence as being very serious and will deal with such offences accordingly with an equally serious view. There will ONLY be fixtures on the Sunday of this weekend. Daly Industrial Supplies U19 League: Castleview 6 Carrigaline United 0. Daly Industrial Supplies U19 League: Mayfield United 8 Wilton United 2. Daly Industrial Supplies U17 Premier League: Mayfield United 5 Springfield Ramblers 2. Daly Industrial Supplies U17 Premier League: Rockmount 1 College Corinthians 4. Daly Industrial Supplies U18 Premier League: College Corinthians 9 Bandon 0, Douglas Hall 4 Rockmount 1, Mayfield United 1 Ringmahon Rangers 3, Carrigaline United 1 Castleview 0. Daly Industrial Supplies U18 League 1: Leeds 1 College Corinthians 3, Carrigaline United 2 Greenwood 3, Blarney United 0 Midleton 4, Wilton United 1 Riverstown/Brooklodge 3. Daly Industrial Supplies U18 League 1A: Macroom 8 Avondale United 1, Lakewood Athletic 6 Donoughmore 0, Buttevant 3 Grenagh 5, Watergrasshill United 0 Passage 3. FAI Umbro U17 Cup first round: Youghal United 1 Leeds 4. Daly Industrial Supplies U17 Premier League: Leeside 1 Ballincollig 0, Kilreen Celtic 3 Everton 2. Daly Industrial Supplies U17 League 1: Mallow United 0 Blarney United 0, Kinsale 7 Castleview 0, Greenwood 2 Douglas Hall 5, Midleton 3 St Mary’s 1. Daly Industrial Supplies U17 League 1A: Ringmahon Rangers 4 Ballinhassig 4, Midleton 2 Blarney United 0, Douglas Hall 4 Carrigaline United B 1, College Corinthians 0 Kanturk 3. Daly Industrial Supplies U19 League: Blarney United 1 Castleview 9, Carrigaline United 1 Castlebridge Celtic 0, Douglas Hall 8 Everton 2, Killumney United 2 Mallow United 2, Ballincollig 3 Avondale United 2. FAI Junior Cup 1st Round: Greenmount Rangers 1 Douglas Hall Ath (MSL) 2; Blackstone Rovers 3 Glenvale 2; Kanturk 3 Bohemians 4; Park Utd A 2 Pearse Celtic A 3; St Marys 1 Grattan Utd 8; Dillons Cross Ath 2 Buttevant 2 (Dillon’s Cross won 4-2 on pens aet). AOH Cup 1st Round: Lakewood Ath A 2 Springfield 1; Millstreet Celtic 3 Castlelack 2; Glen Celtic B 1 Village Utd 4; Ballinhassig B 0 Killumney Utd 10; Leeview Ath 7 Ballinhassig A 1; Douglas Hall 1 Hibernians 2; Tower FC 0 Strand Utd A 1, Killowen; Richmond B 2 Innishvilla A 3; Castleview 2 Blackpool Celtic 6; City Wanderers 2 Glen Celtic A 8; Shandon Celtic 1 Richmond A 3; St John Boscos B 2 Hillington 1. Presidents Cup 1st Round: Carrigaline Utd 1 St John Boscos C 2; Carrigtwohill Utd B v Glenthorn Celtic B (off); Ard Na Laoi 0 Crescent Ath 6. 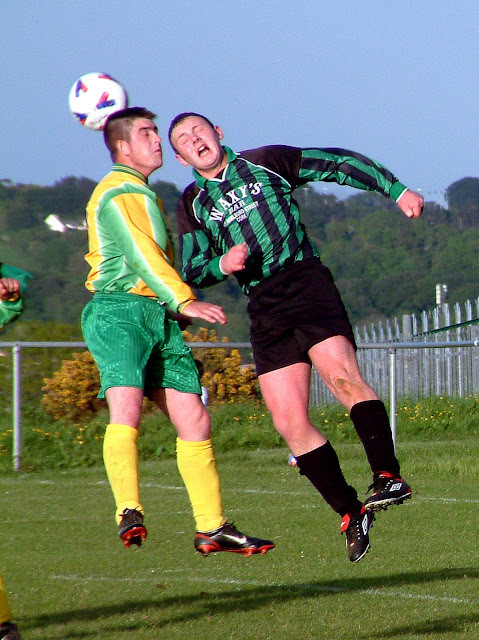 Premier League: Greenwood 1 Kilreen Celtic 1; Carrigtwohill Utd 0 Glenthorn Celtic 0. AUL 1: Knockraha 4 Watergrasshill Utd 1. AUL 1A: Rathcoole Rovers 5 Donoughmore Ath 2. AUL 2: Afton Villa 4 Rylane Celtic 3; Newmarket Town 1 CFC Banteer 2; De Courcey Albion 3 Macroom B 1. AUL 2A: Central Rovers 0 St John Boscos 0 Corkbeg 0 Park Utd 1. AUL 3: Greenwood 4 UCC 1. AUL 3B: Strand Utd 0 Los Zarcos 3; Ballincollig 2 Waterloo 1; Bweeng Celtic 2 Glanworth Utd 2. An Information Meeting will take place on Monday next, 16th Sept, at 8pm in Ambassador Hotel for this season’s Academy which is due to start on Wednesday 25th Sep. in Douglas Hall Grds. All players must attend. Registration will take place on the night with 1st term fee of 60 euros also to be paid. Waterloo A are looking for a friendly this coming Saturday 14-Sep (Away preferably). Grangevale FC are looking for a friendly next Saturday or Sunday. Dunbar Celtic A are looking for a friendly this coming Saturday September, 14th Home or Away. Anyone interested, please contact Kieran @ 085-1482141.